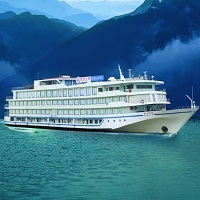 If you also want to realize your dream of a Cruise Vacation, then ANDAMAN BLUE SEA TRAVELS is the name to rely. We are one of the most credible Cruise Services Provider in Port Blair, Andaman. Ranging from Hotel Accommodation Services to Travel Insurance Services, all your travel needs are handled with utmost ease and perfection. At ANDAMAN BLUE SEA TRAVELS, we have employed well-qualified and highly experienced travel professionals, to ensure that everything is tailored to meet your expectations.